Our family absolutely loves going to the zoo. My older son likes seeing big animals like lions and elephants, and my younger son loves spending time looking at fish, dolphins, and other marine life. Unfortunately, we can’t spend every day at the zoo, but we can always read about it! Here are some of our favorite books about visiting the zoo. Which ones have you read? Zoo-Looking by Mem Fox – A daughter and her daddy take a trip to the zoo, stopping to see all the sights! This book is great for even the youngest children, and has beautiful pictures. If Anything Ever Goes Wrong at the Zoo by Mary Jean Hedrick -Leslie tells the zookeeper that if there’s ever a problem at the zoo, the animals can come to her house. She waits, but they don’t come; until one night…. The View at the Zoo by Kathleen Long Bostrom – Oh, those crazy creatures at the zoo! But is this book about the animals or the humans? This one is a really fun read. 1 Zany Zoo by Lori Degman – What do zoo animals do before the zoo opens? This hilarious story explores all the trouble these animals get into when no one is looking. Good Night, Gorilla by Peggy Rathman – One of my all-time favorite picture books! Bedtime at the zoo is going as planned, until one naughty gorilla decides to steal the zookeeper’s key. Put Me in the Zoo by Robert Lopshire – This classic story is one I read to my sons when they were very little, and now my oldest is reading it to me! A great choice for beginning readers. Dear Zoo by Rod Campbell – This adorable lift-the-flap board book is perfect for the youngest zoo goers. The Way to the Zoo by John Burningham – What if there were a door in your room that led to the zoo? Would you take the animals back home with you? Welcome to the Zoo by Alison Jay – This zoo is like none other! Little ones will have a great time figuring out the hilarious world Alison Jay has created. Never Play Music Right Next to the Zoo by John Lithgow – What happens when you play music next to the zoo? The animals can’t help but join in! Twas the Day Before Zoo Day by Catherine Ipcizade – This funny take on a classic story is the perfect read for the day before a zoo trip. The zookeeper works hard to get all the animals ready for zoo day, but nothing is going the way it should. My Visit to the Zoo by Aliki – I love Aliki’s books because they do such a great job of blending learning and fun. 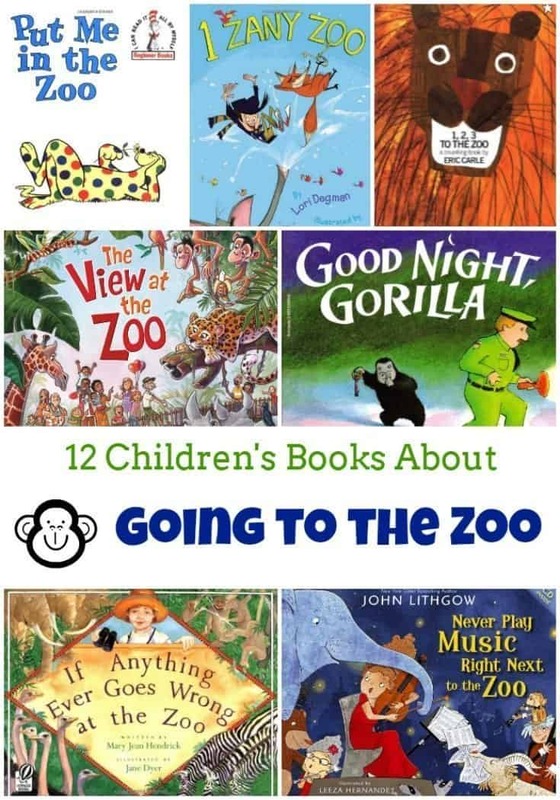 This books takes readers through each part of the zoo, teaching along the way. 1, 2, 3 to the Zoo by Eric Carle – Another classic! This story teaches counting as it explores the zoo, with the help of Carle’s beautiful illustrations.